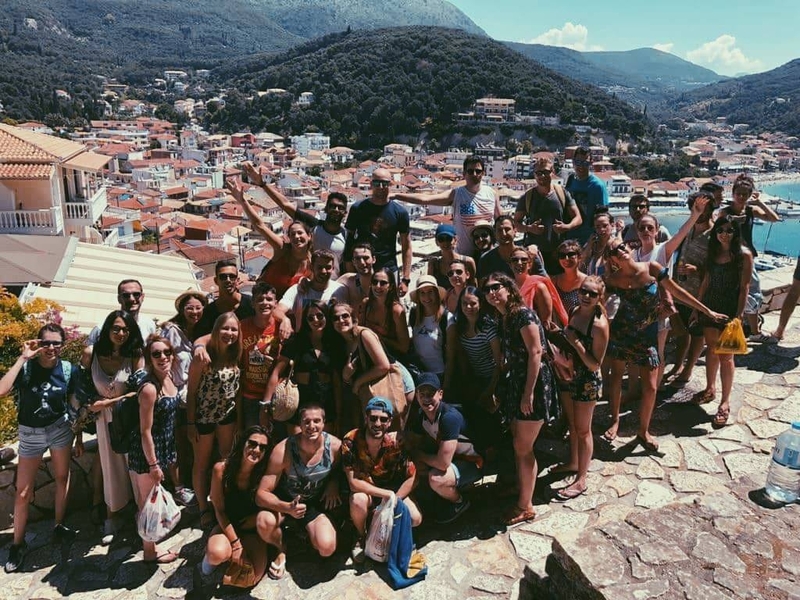 AEGEE-Ioannina knows how to make great Summer Universities. Last year’s SU ranked 4th among all. 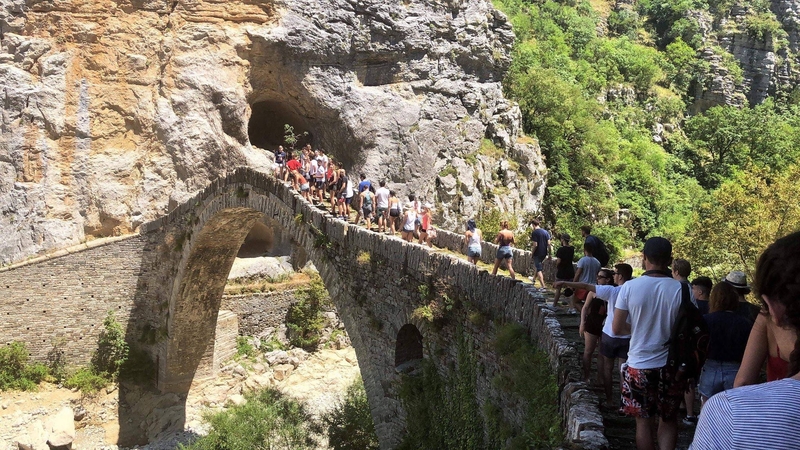 This year, you have the chance to be one of the 35 participants of their Travelling Summer University “The Ionian battle: Gods verSUs Mortals”, which takes place from 7th to 21st of July 2019. 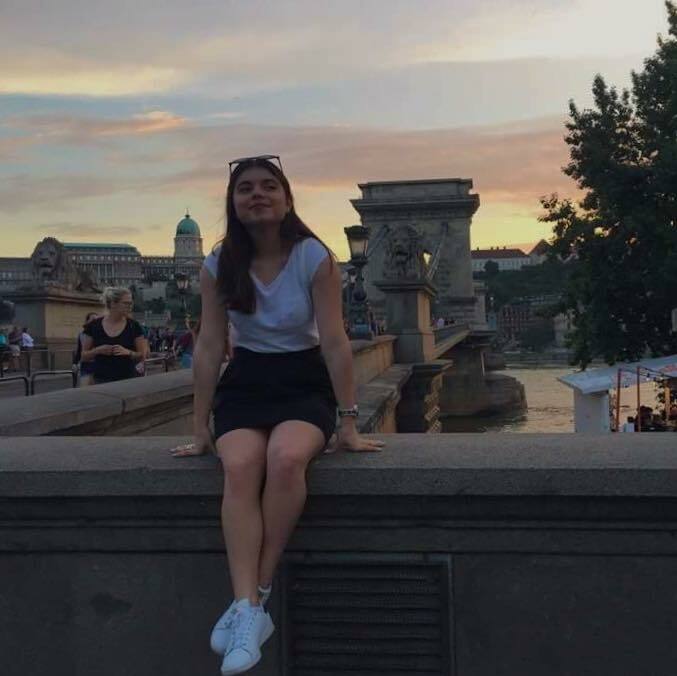 Eva Kalliakouda, Local Events Responsible of AEGEE-Ioannina and the Main Organizer of the SU, tells you what the event is about. Golden Times: Your Summer University was the one of the best in 2018. How did you manage it? Eva Kalliakouda: Our SU was ranked 4th in 2018 and we are very grateful for that! We owe that to the good preparations made the whole year by the Main Organizer Maria Kotrotsiou and the core team. We tried to achieve every goal we set from day one to the day before the SU began. Of course none of these would have happened without the contribution of our helpers and a great team of participants! Eva: This year the name of our TSU is “The Ionian Battle: Gods verSUs Mortals”. Our main topic is Greek culture, focusing more on Ancient Greek mythology and history. Moreover, in cooperation with the Language Interest Group of AEGEE-Europe we are going to gain some knowledge about languages – Greek or others – and communication in general. We chose this topic because we found it interesting and helpful for our future participants and it will be a great opportunity for interactive games and workshops! It’s also compatible with the places and monuments we will visit and our cultural wealth. Eva: The great ranking in 2018 meant a lot for us since the SU is the biggest event organized by our antenna and something we work on for many months! AEGEE-Ioannina is a small and young antenna and we managed to become well-known in Europe thanks to that event, so we are really grateful. Gaining more and more in popularity both in Europe and in Greece makes us want to set higher goals for the future. Besides we have also higher expectations now to cope with! Eva: We are now familiar with the fact that summer in Greece is something that everybody is dreaming of! But that’s not enough. We want to make a step forward this year. We are putting a lot of effort into the design of the theme and workshops we are going to give together with the Language Interest Group. This summer the goal is that everything will be more interactive and interesting, resulting that the participants will also look forward for the tuition hours. Furthermore, maybe the destinations are the same, but we have new entries in the core team, people full of energy and creativity, who will make sure that this event will have the best possible outcome! GT: SU means Summer and University. Can you elaborate more on the tuition part in 2019? Eva: Since this year the main topic is local culture, focusing on history and language, the tuition part of the SU will mainly include workshops given by an experienced trainer from the Language Interest Group. Moreover, we will provide interactive workshops about Greek culture and of course the AEGEE workshops by experienced members of our antenna. Eva: When it comes to the Summer part of our SU, the highlight obviously is island hopping. Except that, I think, that the rafting day and the boat trip are of great interest every year. These two weeks we are going to visit Ioannina, our base, Parga, a coastal city in Western Greece, and three of the biggest Ionian Islands: Lefkada, Kefalonia and Zante. 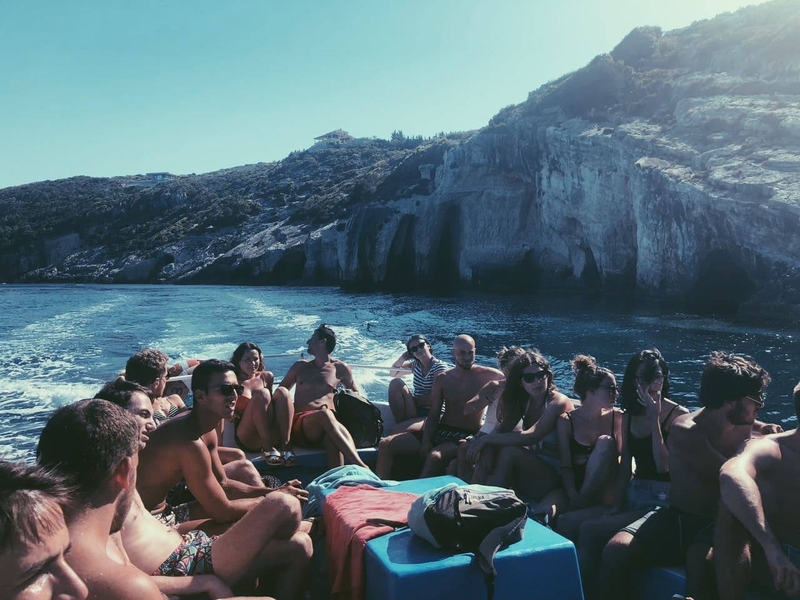 Our schedule includes road trips to smaller villages and boat trips to smaller islands and of course a lot of beach time! Eva: My antenna is only seven years old and a rather small one. 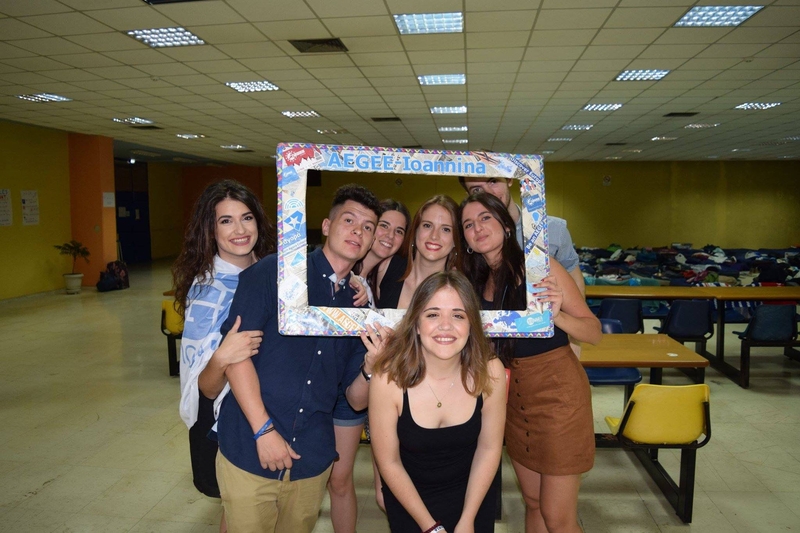 Nevertheless, AEGEE-Ioannina consists of great people that work with a lot of passion and energy. Despite the lack of hands, we are organizing every year an SU and we send members to every Agora. 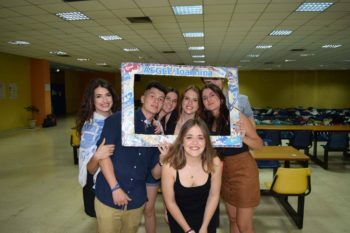 What makes AEGEE-Ioannina special is that we have girl power – all the board members and the majority of the SU’s organizers are women! Moreover, we are an antenna that gets reborn almost every year, so we are counting on new members. Eva: People can find our SU on Facebook: https://www.facebook.com/theionianbattle and on Instagram: @theionianbattle. Ask any question via e-mail: ioanianbattle@gmail.com – and apply on: https://www.projects.aegee.org/suct/su2019/show.php?su_id=IOA1.